Hilton Als interviews painter Celia Paul on the occasion of the exhibition Desdemona for Celia at the Metropolitan Opera Gallery (curated by Als) on view through January 2, 2016. 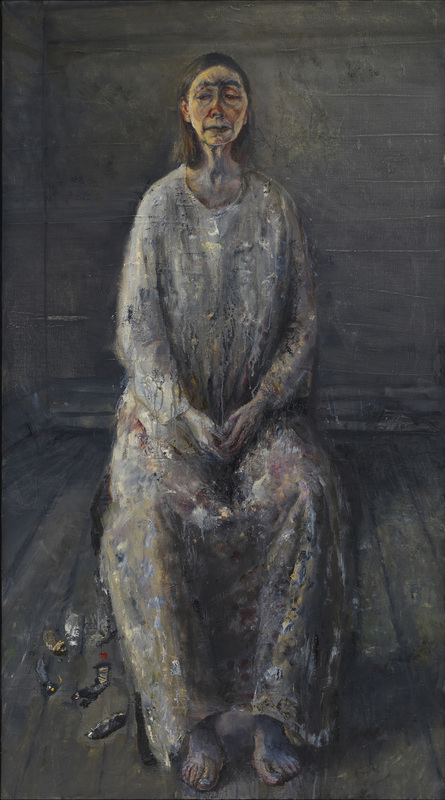 In his curatorial statement Als writes: "The majority of Paul’s paintings—or the majority of the paintings I saw then—were of women: her mother primarily and then her sisters and herself. In recent years, though, Paul added several elements to her repertoire; indeed, her images of the elements—water and sky—were as rich, to me, as the faces she drew and painted with such precision. Taken together with my photographs [of Paul], [gallery director Dodie Kazanjian] and I felt Paul’s paintings and drawings were deeply evocative of the character of Desdemona—one of the more mysterious figures in Shakespeare’s great play and Verdi’s unforgettable opera [Otello], despite the fact that so much of the plot turns on her and her actions."